After many delays, the Fujitsu P1620 finally arrived at James' house. This morning we got to chatting about the differences in this refresh of the P1610. We went on and on so much about it, that we cut this one off at seven-and-a-half minutes. Hey, we realize you have other things to do than sit around and watch us geek out for a half-hour! Like that kinetic scrolling on the iPhone so much that you want it on your Mac? You'll definitely want to check out Smart Scroll X, a third-party application I read about on MacUser. The app is $19, but there's a free trial, which I took full advantage of to show you a short video demonstration. Smart Scroll X is easy to configure for a mouse, trackpad or keyboard and I like how you can reverse both the X- and Y-axis control. 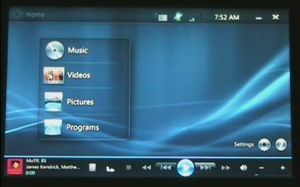 Even better is the Grab-and-scroll, a function similar to the Flicks navigation we Vista Tablet PC users have enjoyed. I could see this coming in handy for folks that are tired of scrolling again and again in the page of an app since this works not just with Safari, but in native Cocoa apps on the Mac. It was a huge help to me earlier today in TextEdit for example. You can really get around fast with this software. Oh, and sorry in advance if I get you sea-sick with all the scrolling in this vid! Directly download the full-quality 480 x 320 .m4v file here. 57 MB. I think 2007 will be the year where mobile technology vendors proved that inexpensive doesn't necessarily mean cheap and unusable. It happened with the Asus Eee PC and then again with Palm's Centro for Sprint. 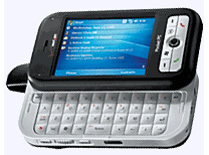 The trend continues in 2008 now that a Palm Centro has arrived on AT&T's GSM network. This $99 Palm OS smartphone has definitely impressed me over the past few days of hands-on use, but I'm just getting started. Remember, in my years of using mobile tech, I've never purchased a Palm device so this loaner is intriguing. Folks that use feature phones don't have to spend much more to get a full-featured smartphone and I think that's why we're seeing so many Palm Centro units fly off the shelves. The full press release has all of the details follows and in this short video, I give you a very quick look at the device and its capabilities. I'll have more thoughts over the next week or two before I return the unit. Yesterday I mentioned TextOnPhone, an eBook web app for the Apple iPhone and iPod Touch. Here's an eleven-minute walkthrough to give you an idea of what it offers. I specifically did this demo in a "worst-case" scenario by using EDGE, i.e. ; I shut my WiFi radio off on the iPhone. You can see the performance of the experience, which overall, I think is very good. The application wisely caches ahead a number of pages so that you really don't need to wait for pages to load. There are some basic user customization settings and some excellent eBook reading lists and I'm very impressed that the app remembers where you left off in a book. Overall, I was pretty impressed in the short time I've used TextOnPhone. So what exactly does that MSN Direct download bring to your Windows Mobile device? 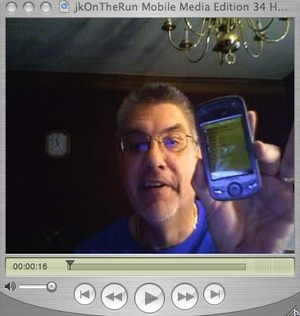 In this under-seven-minute video I give you a quick walkthrough using my Dash; a Windows Mobile 6 device. There's a few opportunities for improvement in the application, but if you want basic News, Weather and Stocks on your Today screen (and you have enough room for them), this could be useful. There are plenty of third party applications that can provide the same info, if not more, but not all of them are free. Then again, I'm not sure I'd call this implementation "free" exactly; no it doesn't cost you anything, but there's a fair share of ads. They're not obtrusive, but they're there as you'll see in the video. Download the full-quality, 480 x 320 .m4v file here. 49.7 MB. Kevin and James are each jonesing for new geek stuff, and not the same thing. What we would like may surprise you and you'll have to watch the chat to find out what we wish we had in our hands. Neither one of us can have what we want for different reasons so you might say we are lamenting what we can't have. Have a look and see if you might want what we wish we had. Download the full-quality, 480 x 320 .m4v file here. 83.8 MB. The planets must be aligned in perfect harmony: yesterday HP launched their iPAQ Navigate service, James and I are heading to CES and an iPAQ 310 Travel Companion just arrived for each of us in time for our trip to Vegas! These units appeared late yesterday and we've had little time to play with them, but today we took a break from our CES preparations to have a 12-minute video chat about the units. Our first impressions are favorable and we'll tell you why in this video. Of course, the proof is in the pudding, so we'll be totin' these along all next week for our vacation convention coverage. These 800 x 480 touchscreen devices should come in handy and not just for navigation. Check the conversation we have to see what I mean. Yup, we've covered the HTC Advantage before, but while chatting today, James asked my opinion on the device. I just got a few minutes of playtime with it last week during our trip to New Mexico, so my first thoughts are shared. There's a brief overview of the device for those who haven't seen it followed by a some good banter on if this would be the one device we would take somewhere if we could only choose one device *gasp* to take. We took your great feedback into account in this video chat... well, other than the comment about two ugly guys; there's only so much we can do there! ;) We used headsets this morning but there's an apparent echo that we have to work out yet, plus I think we need to invest in some production-quality lighting. Hey... on a blogger's salary, we have to make due, but we'll keep working towards improvements if people like the video chat format! This video is the first of what we hope to be many video chats that we'll will be posting about whatever geeky topic comes to mind. That's the reason for the Video Geek Session tag as that is exactly what these sessions will be. This inaugural chat is timely as today Kevin got a box from the FedEx man with a new WiBrain UMPC inside. We take a look at the WiBrain and talk about the features of this innovative device and we think you'll enjoy it. A big shout out to Dynamism for supplying the evaluation WiBrain for Kevin to test. Time for another jkOTR Mobile Media Edition! Today we're taking a first look at the uber-useful HTC Advantage x7501 Windows Mobile 6 PDA. 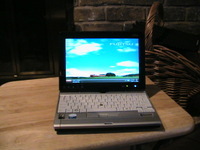 The Advantage can't make up its mind if it's a smartphone, PDA, Pocket PC, laptop or UMPC. Come to think of it the Advantage just might be all of those. Time for another jkOTR Mobile Media Edition! 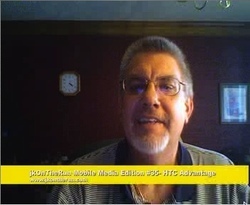 In this show #34 we are happy to bring you a first look at the just released Sprint HTC Mogul Windows Mobile 6 smartphone. The Mogul is the successor to the popular PPC-6700 and we give you a comparison of the two devices along with a good look at the new, svelte Mogul. 4.33" x 2.32" X 0.73"
This show it's back to the basics with a pure audio podcast that looks at recovery strategies for mobile PCs that do not have an optical drive or in some cases a keyboard. 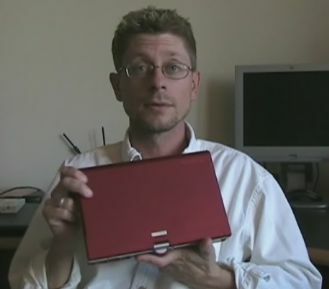 I offer some common sense strategies for preparing now for the unthinkable crash that leaves your UMPC/ Origami, Tablet PC, or other ultra-portable unable to boot. Instead of having a brick on your hands these tips might let you get back up and running. If you have your own tips and advice for recovering an unresponsive device please leave them in the comments to share with others. Fred Langa's articles on InformationWeek covering Windows XP recovery methods are mentioned on this show. OK, the video file is huge but I wanted to capture the size and the spirit of the moment. There is nothing quite like opening a new gadget for the first time and let's face it, the Sony Vaio UX50 Micro PC is about as special as it gets. With 1024x600 resolution playing on a screen of 4.5 inches you need the extra video to really show the device. I had an invisible audience who wanted to remain out of the video but the coolness of the Sony drew him in as the video progressed. All sorts of activity was going on in the background and the Treo wouldn't stop ringing but that's the way it is in Mobile Tech Manor. This video is an overview of the UX50 device and I promise a full video review showing what this PC can do is forthcoming. Enjoy the show and let me know what you think. Special thanks to the folks at Dynamism for supplying this review unit. Those guys are the best! Booting up into AVStation Now for media playback. 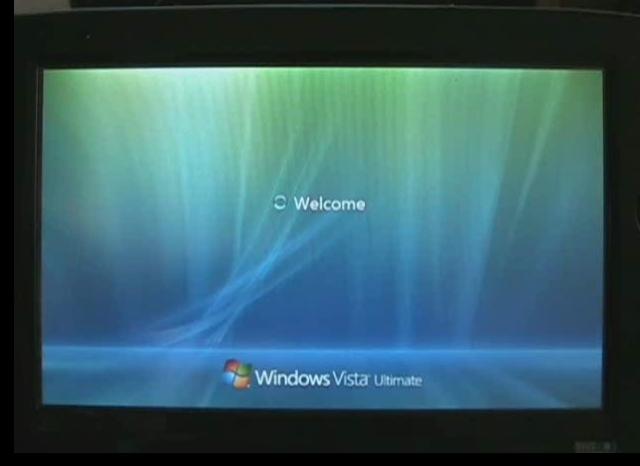 Booting into Windows XP to show the time-frame of a boot up. Putting the device into Sleep mode and restoring it back to show the speed. Inking in OneNote 2007, Outlook 2007 and Windows Journal. Handwriting recognition in Windows Journal. Brief look at DialKeys and the Microsoft TouchPack. Surfing in IE7 via the LAN. Pulling the LAN cable out and surfing the web by using an XV6700 EV-DO Windows Mobile phone via a Bluetooth connection. We'll likely have some additional videos of other scenarios for the Q1, but 34 minutes of a webcam video is probably more than you can bear for now! 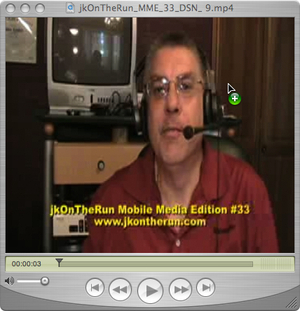 jkOnTheRun Audio Edition #18 - Samsung Q1 UMPC unboxing or is it a birthing? I ordered it, Best Buy sent it and UPS delivered it! 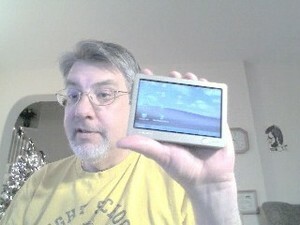 Yup, the Samsung Q1 UMPC is in da house! This is the official "live" unboxing of the device and I try to show you every component of the Q1 packaging and contents. Overall, I'm very impressed; the packaging almost justifies that $1,099 price tag. Well, not quite, but really, it is packaged nicely. It's all here, so why don't you virtually unbox a Samsung Q1 with us? 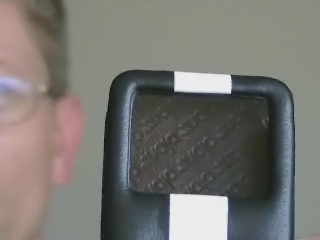 So we're following up the SenaCase review for the XV6700 with a video overview of the phone itself. This Windows Mobile 5.0 phone is never out of my reach and functions as a phone, camera, audio\video player, PDA, e-mail device and Internet browser. How'd they do that??? You'll have to sneak a peek as we cover the device from top to bottom! Some folks might have already seen this 15 minute video review on my personal blog site; if you have please accept my apologies. James and I thought that the jkOTR audience at large might not have seen this, so consider this the Internet's first ever "repeat". Protecting mobile devices is often overlooked, but after spending hundreds or even thousands of dollars on a device for daily usage, consider a few extra dollars for a solid case. For my XV6700, I pre-ordered a case from Sena Cases. 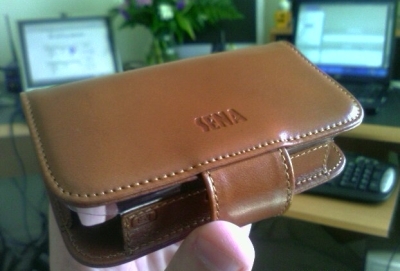 I've used their cases for several years with multiple devices, mainly because of the excellent and thoughtful design. In this "case", I'm happy with my purchase, but have a few gotchas to point out so you can make an informed decision. Office 2007 has been given a total facelift over the previous version, and no doubt you've seen pictures and videos of the new "ribbon" interface. I have been using it for a few weeks and the more I use it the more I realize that a lot of the interface enhancements make the various Office applications much easier to use with the pen on a Tablet PC. This video demonstrates how those UI changes makes my work on a Tablet PC more productive, and in the video I show how a lot of these changes will be a boon for Origami device owners. Note that Office 2007 is an early beta and will likely change from what is demonstrated in this video by release time. The video was recorded totally onscreen using Camtasia Studio and I hope you enjoy it. One caveat I should mention, drop-down menus from the ribbon interface are not currently picked up by Camtasia and do not appear in the video. In every instance in the demo I tried to make sure and talk you through what was in the menu that you couldn't see. At the end of the day I didn't think that hampered the video usefulness so I am releasing this demo anyway. 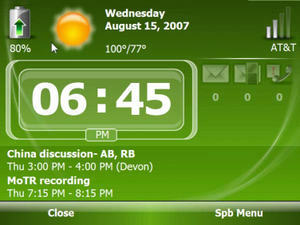 I am sure that TechSmith will update Camtasia so these menus can be recorded when Office 2007 is actually released. 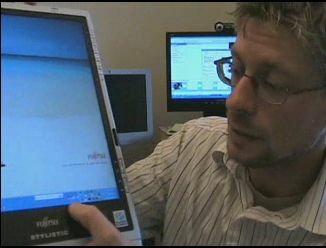 During the recording of this video I got an amusing Skype interruption by someone well known in the Tablet PC community. I'll send a Channel 9 guy to the first person who submits a comment to the show post with the correct name of the caller. Join me for a day in the life of a copy editor as he edits a document using the newly released InkGestures program from Jumping Minds. The video was recorded totally onscreen using Camtasia Studio and I hope you enjoy it. It's been too long since the last audio podcast and I have missed doing them. This show looks at two events that happened at the CES in Las Vegas that has me taking a new look at mobile technology and how they have even changed the way I work every day. 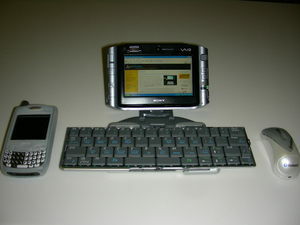 Palm has produced the Treo 700w running Windows Mobile 5.0 and Verizon released it for sale last week. I picked one up and decided to give you a video tour of the newest Treo and show you what I think of it. It is a very sweet phone! No you're not seeing things, well I guess you are at that. The OQO has captured the envy of geeks everywhere and this show is a video review of the ultra-portable device. This is a first attempt at a video cast for jkOnTheRun Audio Edition and I give a good look at the OQO covering all the ports and features of the little PC. Let me know how you like the video review, if enough people think it's worth continuing I will mix video casts with the podcasts in the future. Special thanks to Dynamism for supplying the evaluation unit used in this review. I am getting ready for the CES in Las Vegas next week and plan to blog and podcast from the show floor the entire time I am there. This show takes a peek at the mobile gear I am taking with me to enable me to bring you the latest and greatest gadget news straight from the CES show floor. Today's show offers up a couple of productivity tips that I think will make your life easier. One of them is for anybody that gets email (that's you, right?) and the other is for Outlook users. Tell me about any productivity tips that you find useful. 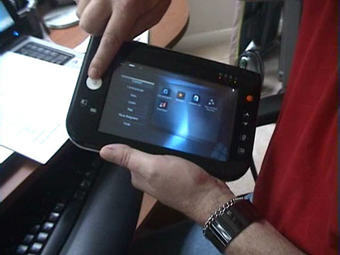 I just had to talk about the most innovative device to be announced in a long time, the cPC from DualCor Technologies. Dual-processor, 2 GB of memory, 40 GB hard drive and a 5 inch screen. Sweet! Enjoy the show and let me know what you'd like to hear discussed on jkOTR Audio Edition. 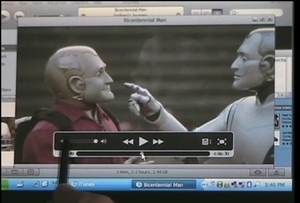 You’ve all seen those nice screen shots of the Aero Glass interface in Windows Vista. Is this interface efficient? Find out why I don’t think so. NEC MobilePro 900 spotted in the wild but sadly, under utilized by the company. Why do companies deploying mobile technology often only get it half right? Enjoy this show and let me know what you'd like to hear discussed on jkOTR Audio Edition. On the show today, the Logitech Quickcam for Notebooks Pro is discussed for use with the new video calling feature of Skype 2.0 beta. This web cam has some advanced features which I discuss in some depth, and you can pick one up for about $90 street price. Enjoy this show and let me know what you'd like to hear discussed on jkOTR Audio Edition. That's right, you read that correctly, the jkOnTheRun Audio Edition. I have been kicking the idea around for a while for doing a short (5 - 10 minute) podcast here on jkOnTheRun With all the other work and podcasting that I do I knew that for this to work it had to be quick and easy and since I just picked up an M-Audio Microtrack 24/96 professional handheld recording system I decided I can jump right in. This first show was recorded on the M-Audio and you can judge for yourself how it sounds. I intend for the jkOnTheRun Audio Edition to be a regular show covering just one topic at a time so each podcast will be short enough that you can easily grab it and listen without giving up a big chunk of your day. This show is an audio review of the M-Audio Microtrack 24/96 recorder so if you're interested in a professional quality field recorder then give it a listen. The Microtrack has an MSRP of $499 so it's not cheap but you can find it on the web for much less than that- I found it for $399 so I grabbed it. Who knows what future shows will cover, there will be a lot of mobile tech topics (naturally) but I may veer off that path from time to time to discuss items in the news. I hope you enjoy this first show, please leave plenty of feedback and suggestions because I really want to make this your show.